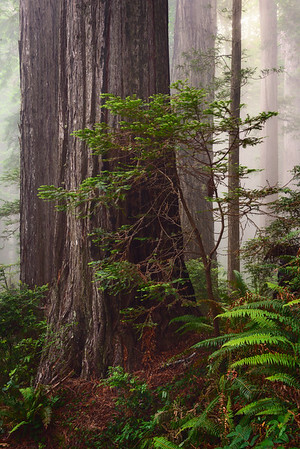 While hunting for rhododendrons last spring in the Del Norte Redwood Forest last spring, I came across this young redwood tree attempting to sprout next to the larger and older Redwoods. The combination of how the branches stood out from the bark of the redwood behind it initially drew me to the composition. But the more I just stopped, slowed down and looked that the scene the more I saw in the comparison of young and old or large and small.